Los animales tienen un papel fundamental en el argumento de Babiloníacas de Jámblico. La causa puede ser que los animales revelan de forma indirecta la intervención de las deidades que velan por los protagonistas. 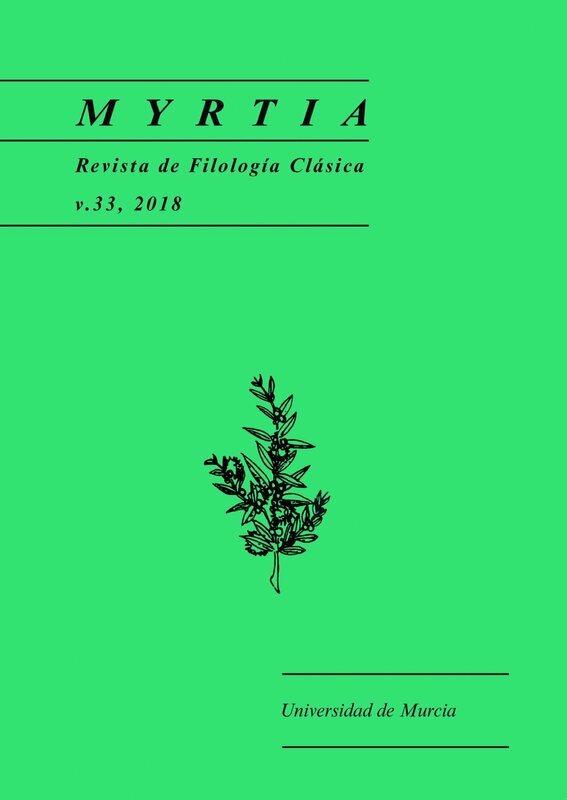 Estas divinidades podrían ser dos dioses de carácter oriental, Afrodita Urania y Mitra (a quienes hay que añadir a Hécate), de acuerdo con el ambiente babilonio de la novela. A. AARNE – S. THOMPSON, 1961, The Types of the Folktale: A Classification and Bibliography, Helsinki. PH. ADRYCH, 2017, “Patrons and Viewers: Dura-Europos”, en Ph. AdrychR. Bracey et al. (eds. ), Images of Mithra. Visual Conversations in Art and Archaeology, Oxford, 39-60. G. ANDERSON, 2007, Folktale as a Source of Graeco-Roman Fiction, Lewiston. W. G. ARNOTT, 2007, Birds in the Ancient World from A to Z, Londres. M. BARBERO, 2015, I Babyloniaca di Giamblico, Alessandria. R. BECK, 1982, “Soteriology, the Mysteries, and the Ancient Novel: Iamblichus' Babyloniaca as a Test-Case”, en U. Bianchi - M. J. Vermaseren (eds. ), La soteriologia dei culti orientali nell'imperio Romano. Atti del Colloquio Internazionale, Leiden, 527–540. R. BECK, 2003, “Mystery Religions, Aretalogy and the Ancient Novel”, en G. Schmeling (ed. ), The Novel in the Ancient World, Leiden - Boston, 131–150. R. BECK, 2006, The Religion of the Mithras Cult in the Roman Empire: Mysteries of the Unconquered Sun, Oxford. L. BODSON, 1978, 'ΙΕΡΑ ΖΩΙΑ, Contribution à l'étude de la place de l'animal dans la religion grecque ancienne, Bruselas. A. BORGOGNO, 1975, “Sui Babyloniaca di Giamblico”, Hermes, 103, 101-126. A. BORGOGNO, 1979, “Antonio Diogene e le trame del romanzi Greci”, Prometheus 5, 137-156. T. BRACCINI, 2015, “Le Storie babilonesi di Giamblico: una premessa”, en T. Barbero, I Babyloniaca di Giamblico, Alessandria, vii-xxiv. J. N. BREMMER, 2014, Initiation into the Mysteries of the Ancient World, Berlín. S. L. BUDIN, 2004, “A Reconsideration of the Aphrodite-Ashtart Syncretism”, Numen 51.2, 95-145. E. CRESPO GÜEMES, 1982, Longo, Dafnis y Cloe; Aquiles Tacio, LeucipaClitofonte; Jámblico, Babiloníacas (resumen de Focio y fragmentos), intr., trad. y notas de Máximo Brioso Sánchez y Emilio Crespo Güemes, Madrid. J. DE GROSSI MAZZORIN, 2004, “I resti animali del mitreo della Crypta Balbi: testimonianze di pratiche cultuali”, en M. Martens - G. De Boe (eds. ), Roman Mithraism: the Evidence of the Small Finds, Bruselas, 179-181. J. DE GROSSI MAZZORIN – C. MINNITI, 2006, “Dog Sacrifice in the Ancient World: A Ritual Passage?”, en L. M. Snyder – E. A. Moore (eds. ), Dogs and People in Social, Working, Economic or Symbolic Interaction, Oxford - Havertown, PA, 62-66. A. DE JONG, 1997, Traditions of the Magi. Zoroastrianism in Greek and Latin Literature, Leiden. L. DIRVEN, 1999. The Palmyrenes of Dura-Europos: A Study of Religious Interaction in Roman Syria, Leiden. W. DRIJVERS, 1986, “Dea Syria”, LIMC III.1, 355-358. J. DUMONT, 2001, Les animaux dans l’Antiquité grecque, París. V. FARANTON, 2012, La Nature et ses images dans le roman grec, París. J. G. GRIFFITHS, 1975, Apuleius of Madauros. The Isis-Book (Metamorphoses, Book XI), Leiden. E. HABRICH, 1960, Iamblichi Babyloniacorum reliquiae, Leipzig. D. KASPRZYK, 2010, “L’île entre les fleuves: géographie symbolique des Babyloniaka de Jamblique”, Hermes 138.2, 216-229. M. S. KASYAN, 2013,“The Bees of Artemis Ephesia and the Apocalyptic Scene in Joseph and Aseneth”, en M. P. Futre Pinheiro - A. Bierl - R. Beck (eds. ), Intende, Lector - Echoes of Myth, Religion and Ritual in the Ancient Novel, Berlín, 251-271. E. J. KENNEY, 1991, Apuleius: Cupid and Psyche, Cambridge. A. LENTACKER - A. ERVYNCK – W. VAN NEER, 2004, “Gastronomy or Religion? The Animal Remains from the Mithraeum at Tienen (Belgium)”, en S. O'Day et al. (eds. ), Behaviour Behind Bones: the Zooarchaeology of Ritual, Religion, Status and Identity, Oxford, 77-94. F. LÉTOUBLON – N. BOULIC, 2012, “Éros doux-amer”, en C. Bost-Pouderon – B. Pouderon (ed. ), Les hommes et les dieux dans l'ancien roman. Actes du colloque de Tours, 22-24 octobre 2009, Lyon, 55-72. R. MERKELBACH, 1962, Roman und Mysterium in der Antike, Múnich-Berlín. R. MERKELBACH, 1984, Mithras: ein persisch-römischer Mysterienkult, Königstein. D. S. REESE, 1989, “Faunal Remains from the Altar of Aphrodite Ourania, Athens”, Hesperia 58.1, 63-70. E. ROHDE, 1876, Der griechische Roman und seine Vorlaüfer, Leipzig. L. ROJAS ÁLVAREZ, 2016, “Las 'Babiloníacas' de Jámblico. Una novela erótica ‘sui generis’”, Nova Tellus 34.2, 39-52. C. RUIZ MONTERO, 1988, La estructura de la novela griega. Análisis funcional, Salamanca. C. RUIZ MONTERO, 2006, La novela griega, Madrid. U. SCHNEIDER-MENZEL, 1948, “Jamblichos' Babylonische Geschichten”, en F. Altheim, (ed. ), Literatur und Gesellschaft im ausgehenden Altertum, vol. I, Halle, 48–92. J. STARCKY, 1981, “Allath” , LIMC I, 564-570. S. STEPHENS - J. J. WINKLER, 1995, Ancient Greek Novels. The Fragments, Introduction, Text, Translation and Commentary, Princeton. A. STRAMAGLIA, 1992, “Il leone, il tesoro e l'indovinello: IG IV2 1, 123, 8–21 e Giamblico, Storie babilonesi 3 e 21 Habr.”, ZPE 91, 53–59. A. STRAMAGLIA, 1999, Res inauditae, incredulae: Storie di fantasmi nel mondo greco-latino, Bari. E. SUÁREZ DE LA TORRE – E. PÉREZ BENITO, 2013, “Love, Mysteries and Literary Tradition: New Experiences and Old Frames”, en M. P. Futre Pinheiro - A. Bierl - R. Beck (eds. ), Intende, Lector - Echoes of Myth, Religion and Ritual in the Ancient Novel, Berlín, 51-66. R. TURCAN, 1963, “Le roman «initiatique»: à propos d'un livre récent”, Revue de l'histoire des religions 163.2, 149-199. R. TURCAN, 1975, Mithras Platonicus. Recherches sur l'hellénisation philosophique de Mithra, Leiden. Y. USTINOVA, 1999. The Supreme Gods of the Bosporan Kingdom. Celestial Aphrodite and the Most High God, Leiden. M. ZIMMERMAN – S. PANOYOTAKIS et al., 2004, Apuleius Madaurensis Metamorphoses. Book IV 28-35, V and VI 1-24. The Tale of Cupid and Psyche, Groningen.